Boris Christoff (May 18, 1914, Plovdiv, Bulgaria - June 28, 1993, Rome, Italy) was a Bulgarian opera singer, one of the greatest basses of the 20th century. Christoff demonstrated early his singing talent and sang as a boy at the choir of the Alexander Nevsky Cathedral in Sofia. In the late 1930s he graduated in law and started on a career as a magistrate. He, however, continued singing in his spare time in the Gusla Chorus in Sofia, achieving an enormous success as the chorus soloist in 1940. Thanks to a government grant, Christoff left in May 1942 for Italy where he was tutored for two years in the core Italian bass repertoire by Riccardo Stracciari. After several guest appearances and recitals in Austria in 1944 and 1945, Christoff returned to Italy in December 1945. 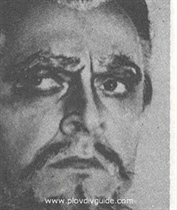 He made his operatic debut as Colline in "La Boheme" at Reggio Calabria on March 12, 1946. The following years Christoff appeared in a number of roles at Milan's La Scala, Venice's La Fenice, the Rome Opera, Covent Garden in London, the opera theatres in Naples, Barcelona, Lisbon, Rio de Janeiro, etc. In 1950 he was invited to sing at the Metropolitan Opera in New York but was refused entry into the USA as a result of the McCarran Immigration Act, which banned citizens of the Soviet bloc countries from entering the country---the role was instead filled by the young Italian basso, Cesare Siepi. After the restrictions were loosened, Christoff made an operatic debut in the United States in 1956 at the San Francisco Opera. He refused any further invitations to the Metropolitan and never appeared there. After a brief absence from the scene due to brain tumour surgery in 1964, Christoff resumed his career in 1965, though at a much slower pace. In 1967 he was allowed to return to Bulgaria for the first time since 1945, for the funeral of his mother. In the 1970s Christoff on-stage performances were all but frequent. He brought his career to an end with a final concert at the Accademia di Bulgaria in Rome on June 22, 1986. He died in Rome in 1993 but his body was returned to Sofia's Alexander Nevsky Cathedral, where he was given a state funeral. With his matchless stage presence and strong dramatic temperament, Christoff emerged as a worthy heir to the grand tradition of Slavonic basses. He sang mostly in Verdi and the Russian repertoire, although he also proved to be a refined performer of vocal chamber music. Among his most famous roles were those of Tsar Boris (Mussorgsky - "Boris Godunov"), Philipp II (Verdi - "Don Carlo"), Mephistopheles (Gounod - "Faust" & Boito - "Mephistopheles"), Ivan Susanin (Glinka - "La vita per lo zar"), Zaccaria (Verdi - "Nabucco"), Tsar Ivan (Rimsky-Korsakov - "Ivan Le Teribile"), Dosifei (Mussorgsky - "Khovanshchina"), Gomez da Silva (Verdi - "Ernani"), Fiesco (Verdi - "Simon Boccanegra"), Attila (Verdi - "Attila"), Padre Guardiano (Verdi - "La forza del destino"), Galitzky and Kontchak (Borodin - "Prince Igor") and others. Boris Christoff made standards in most roles that sang on stage. He also has an enormous discography - studio recordings of 8 operas ("Don Carlo" and "Boris Godunov" twice each) and numerous live recordings (radio or stage performances). He was much admired as song singer and he recorded more 200 Russian songs by Mussorgsky (all his 63 songs - no one did this before), Tchaikovsky, Rimsky-Korsakov, Glinka, Borodin, Cui, Balakirev as well as traditional songs. Most of these songs are with piano accompaniment and are among the best of all his recordings.